Cilantro is one of the easiest vegetables to grow especially if you are a beginner. You can grow cilantro in the garden as well as in the containers. I know many of us might still find it harder to grow cilantro in their garden. 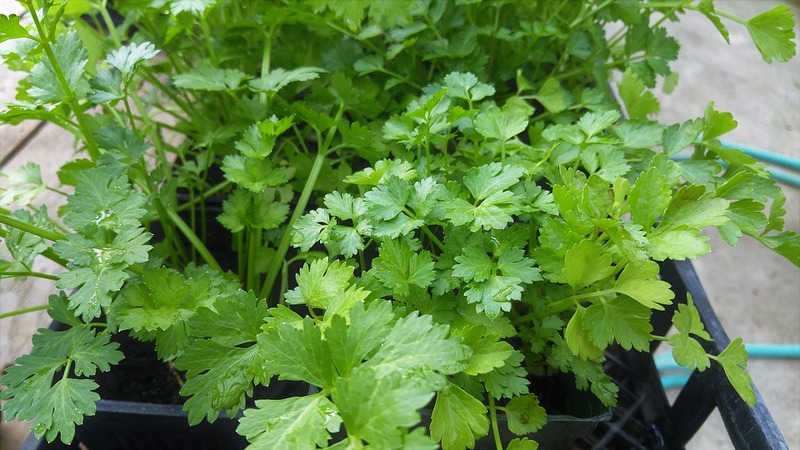 So, in this article, we will discuss how to grow cilantro and will share some useful cilantro growing tips. Cilantro is also called Dhania in India and Coriander in some countries. It has a pungent and slight citrus taste to its leaves which adds to our taste buds. Most of us like the flavor of Cilantro leaves though I know some persons who find it very unpalatable. Cilantro is ideal for the hot and humid climate. The best way to grow cilantro is from the seeds. It generally does not go well with transplanting. If you are growing them in a container, it is advisable to use a bigger container so you can grow many plants in a single container. Though almost all the varieties will produce leaves and seeds, it is better to look for slow bolting varieties so you can enjoy the leaves for a longer period of time. The seeds which we are continuously referring to are not actually seeds in technical terms rather these are the fruits of the plant. You can either sow it as a whole or you can split them and sow it separately. In normal condition, the germination rate of coriander is close to 50%. To increase the germination rate, soak in water for 3 days and then sow it into the soil. Put the seed into a healthy potting mix or well-drained soil. To make the soil ready you can add manure or compost to the soil. Seeds will germinate in 5-7 days. Once they have reached a height of 2 cm put the pot into the sun for further growth of the plant. It is one of the requirement to put them under direct sunlight. But you need to provide some cover from time to time otherwise the plant will bolt very quickly. Within 10 to 15 days these are ready to use. A fully grown coriander plant can grow up to 40 to 50 cm in height with a spread of 15 cm. Due to its pungent smell, they do not get affected by many pests. They are very fast growing. Younger leaves are off with best of flavors. You can pick the leaves as you need from the plants. You can cut the seeds from the plants when they turned gray from green. Apart from the roots, you can use every part of the coriander. Are you still buying cilantro from the market and getting disappointed with the look of them? Don’t waste your money anymore. Now the time has come to grow your own coriander in your house. Growing cilantro will definitely add some exotic touch to your garden as well as to the dinner table. Did you find anything helpful here? Share your views.